A flower show is a wonderful thing and on Saturday I attended the Autumn show here in Westcott (Dorking). I like to put in an exhibit or two and pop along later to show support with my family. I must confess I am always slightly disappointed at the low number of younger family visitors to the show. We’re all busy people of course but there is a lot of horticultural skill on show to be admired and it is a shame that there is not more interest in gardening (or tea and cake). I think I understand why of course; gardening is time consuming – it is difficult for families and working parents to regularly set aside time for it. It’s also tricky to find the time to prepare early morning flower show exhibits before a child’s football training drop-off, or a Saturday afternoon show visit between between dropping off little ones for gymnastics lessons or birthday parties at Air Hop. However, flower shows do need support, they are an important part of traditional village life and should not be left to become extinct. There are a number of reasons why these community events are important, they shouldn’t be overlooked. 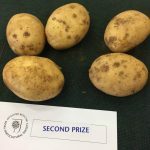 Whether I’m viewing exhibited dahlias or annuals, vegetables or home produce I never fail to be inspired by the standards on show at my local flower show. The range of flowers lined up across the many tables provides new ideas for plants or arrangements that I might never have previously considered. It also never fails to remind me of my dahlia growing inadequacies – the perfect petals and enormous bloom sizes are really something to behold. 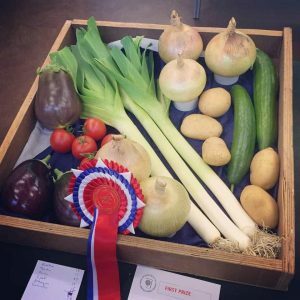 The vegetables are equally awe-inspiring – clean, unblemished specimens – enormous onions and leeks that really wouldn’t be out of place at an official RHS event. Never underestimate the skills that exist in your local community, a flower show thankfully provides the opportunity for growers to showcase them. 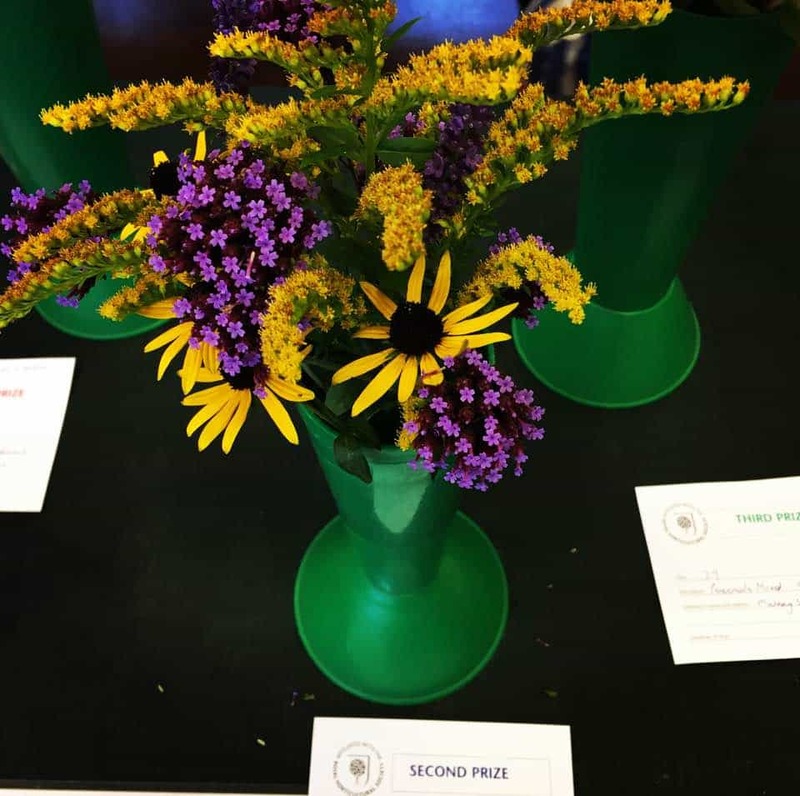 Entering your own exhibits at a local show is an opportunity to pit your green fingered skills against others without embarrassing yourself too badly. I’ve been entering the odd couple of categories at out local flower show for the past few years with minimal success. This year I went all out to enter twelve exhibits and made plans for that way back in winter 2016. 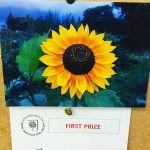 The dark and cold weather in the recent preceding weeks put paid to my dahlia exhibits but I managed to get ten entries together and was rewarded with two first prizes, two seconds and two third place prizes. It’s not something that gave me enough points to take away a section or show trophy but my best showing yet and gives me encouragement to set my bar even higher in 2018. I’m happy to have taken a few points away from the more established silver-haired participants to make the results a little more interesting for them! 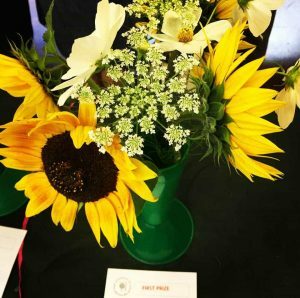 A village flower show is an opportunity to talk to local gardeners who you might otherwise pass by in the street without much more than a nod or a “good morning”. In my experience most of the show exhibitors are on the wiser side of the age demographic (to put it politely), this makes them tough adversaries but also very useful sources of gardening tips and information. 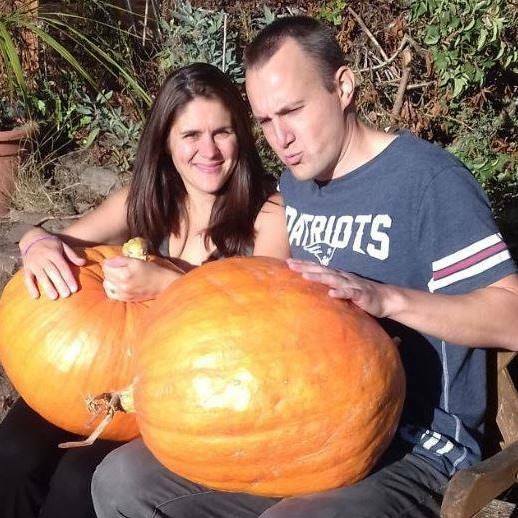 Who doesn’t like talking horticulture with like-minded individuals? Talking means shared ideas and shared ideas helps maintain traditions and growing knowledge. I like talking horticulture, it’s one topic I’m very good on, that said I do have to make a conscious effort not to turn into one of those people you can’t get away from. That’s difficult when it’s a subject you love a lot, and you’re not that good at reading body language or conversational exit cues, (I think I’m definitely on the autistic spectrum… somewhere). 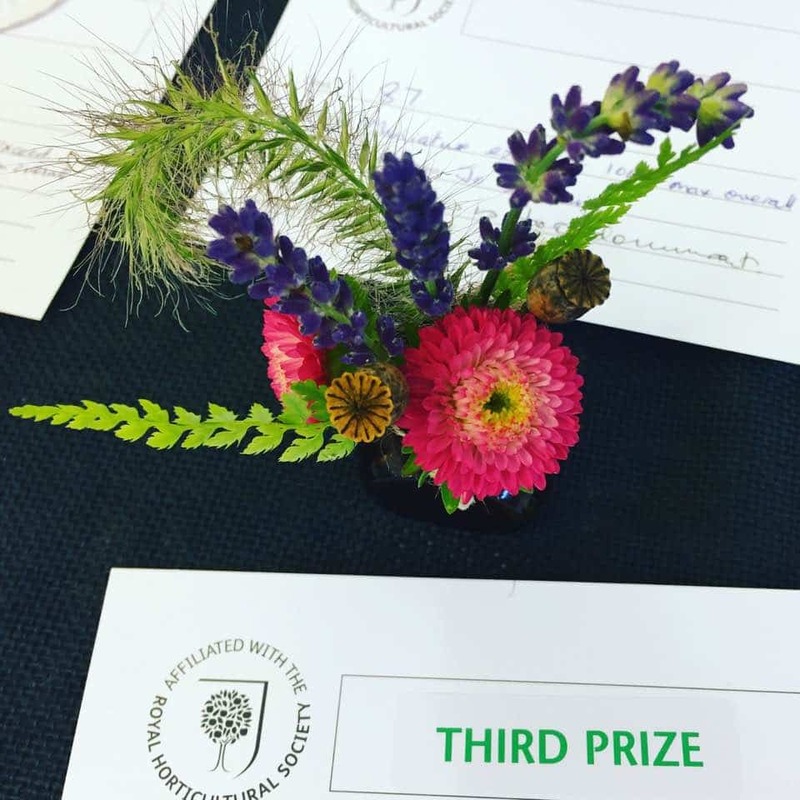 Most local flower shows have categories for children to enter, be they amusing vegetable constructions or themed bookmark design and colouring competitions. It’s important to get children involved in community events, to present them with the full range of nature’s bounty and to have them engage with older local people so that they learn to respect them. 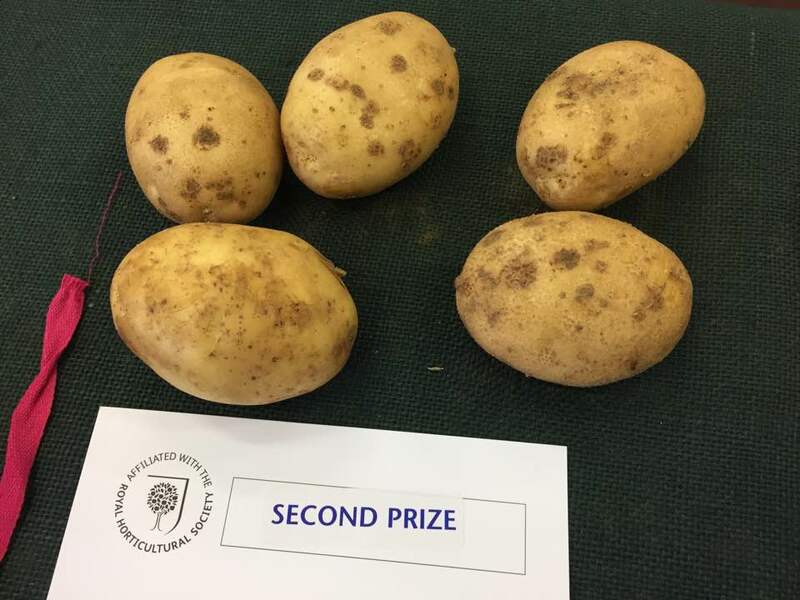 Competition is also an important life lesson, I like my children to see me working hard in the garden or at the allotment, preparing exhibits and NOT always winning at a show. It teaches them tolerance, patience, humility and that perseverance and hard work bring reward… life is not full of instant gratification (even if that does seem to be the modern assumption). 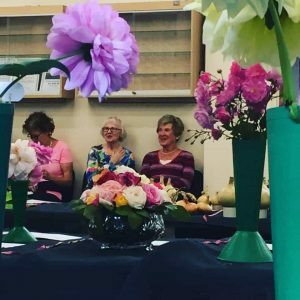 I’ve noticed of course that the majority of visitors to our local flower show are elderly, this is to be expected because gardening is something of a popular hobby among the retired member of society. It’s also indicative of something else – a desire for events and an opportunity to get out and see people. So many elderly people go days or weeks without a visitor or decent conversation with anybody but the postman or PPI cold caller. A flower show provides these people with an opportunity for exercise, floral eye candy, conversation and above all company. Yes a flower show enables gardeners to compare their talents and take home trophies but the community benefits from any local event like this and their upkeep is vital for community cohesiveness – reduced vandalism at allotments etc. Cake. Lots of Cake. And Tea. Lots of Tea. Last on my list yes, but cake is of course uppermost in my mind when I visit any local flower show, not those cakes on display in the home produce category but those being sold with tea from the kitchen in the village hall. 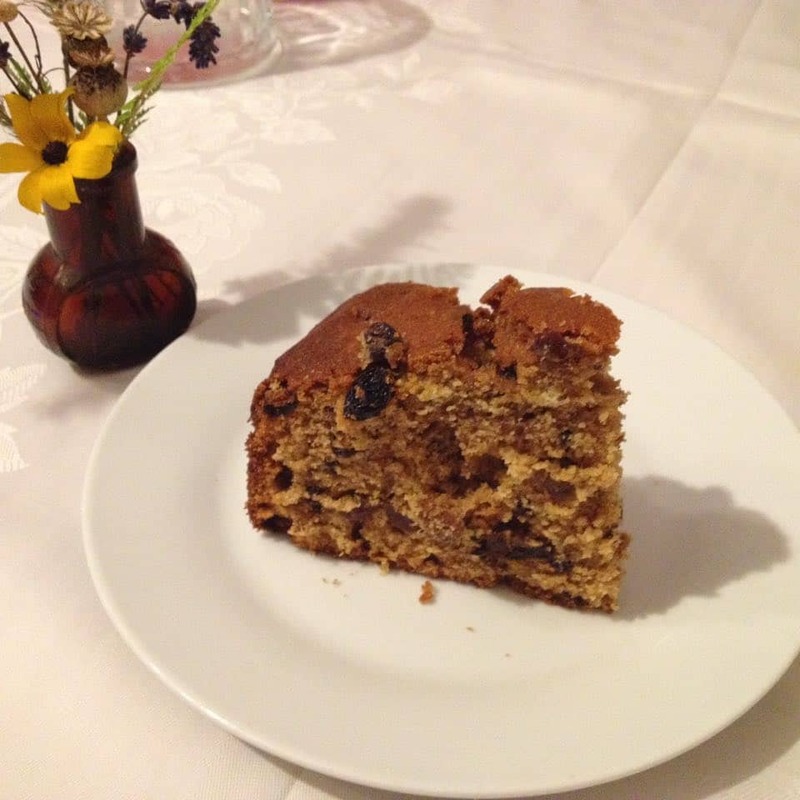 Cake with tea in a village hall full of horticultural beauty is a hard thing to beat as an afternoon activity, especially if it’s raining outside. Fruit cake, Victoria sponge, or courgette cake, a slice of each is needed during a stint at the flower show I find, between chats, exhibit browsing and the end of show raffle. This year MrsGrow even entered a tea soaked fruit cake, ‘highly commended’ which she’ll take for her first show effort (OK she was a bit grumpy for a while…). All this is food for thought I hope – support your local flower show with just one entry if that’s all you have. Bring a pot plant, bake a cake, grow some dahlias or just pop along for fifteen minutes and see what’s going on. If these events are not supported in the long term they will disappear to the detriment of our local communities and the health and well-being of us all.